As part of the festival, we’re screening the low budget comedy-horror phenomenon, One Cut of the Dead. Preceding the film we will also be showing student short films, inspired by Japan and Japanese cinema, made especially for the festival. 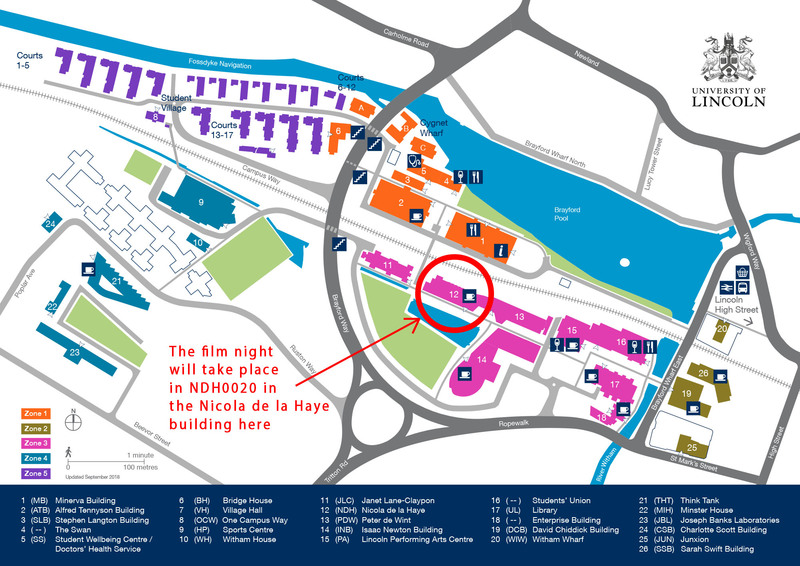 The films will be shown at the NDH0020 lecture theatre in the Nicola de la Haye building in the University of Lincoln. A map can be found in the image below. * University of Lincoln students get in for free. Please book tickets through Yapsody still though, selecting the UoL Student option. You will need to present your NUS card on entry, or you will have to pay the standard £5 ticket price. What’s One Cut of the Dead? 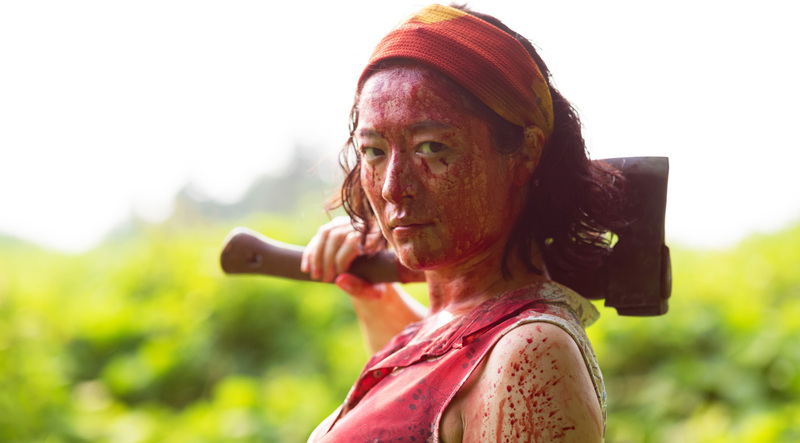 One Cut of the Dead, released by Third Window Films in the UK, is a Japanese “workshop” film project with non-professional actors and a budget of just $27,000, that has grossed $30 MILLION domestically despite opening on just 2 screens and with an advertising budget of $0! Out of nowhere, real zombies arrive and terrorize the crew! This may sound like the plot of a clichéd zombie film, but One Cut of the Dead is something completely different. Starting off with a non-stop one-take 37-minute shot, the film then completely switches direction and turns the zombie genre completely upside down into a charming, audience-friendly comedy. Young director Shinichiro Ueda and his cast of non-professionals have created something fresh and entertaining which has become both a massive hit not just in Japan, but across the world. * One Cut of the Dead will be screened in Japanese with English subtitles. Get Tickets for "One Cut of the Dead"